Microsoft will reportedly lay off 1,200 people as it hands over display, mobile and video ad sales to AOL and AppNexus. Redmond, Wash.-based Microsoft and AOL revealed a multifaceted deal this afternoon, with the sales component covering nine major international markets. 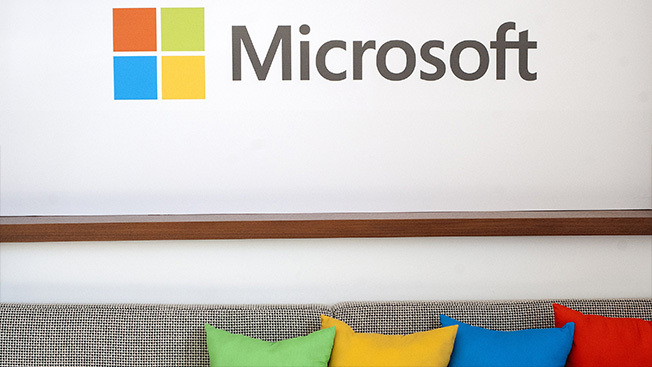 "We expect 100 percent of our sales force [to move] over to AOL in those nine markets," Rik van der Kooi, corporate vp of Microsoft's ad business, told Adweek. "That is subject to local laws, etc. and [other] caveats around that." When pressed about layoffs, van der Kooi said, "We're still working through the details." Bloomberg, however, reported that 1,200 people would be let go thanks to the transition. UPDATED: AOL denied the Bloomberg story, with a rep telling Adweek that jobs will be offered to all of the Microsoft employees affected by the transition. The timing, if nothing else, is surprising, since Microsoft was at Cannes Lions in full force last week pitching its newest digital wares to advertisers. It is now clear that Microsoft wants to streamline its advertising business, eliminating many of its costs, and AOL stands to benefit by taking a cut of it all by utilizing its ad-tech infrastructure. Another result of the deal is that AOL will help Microsoft gain a foothold in nine European countries when it comes to programmatic ads. "We are going to be arming the Microsoft employees in those markets with our programmatic demand-side offering," said Bob Lord, evp and president at AOL. "The growth there is going to be exponential, also." Microsoft's Bing, Google's chief search competitor, will also power consumer search and search advertising on AOL's properties for the next decade. Microsoft will continue to sell the ads for Bing, though.